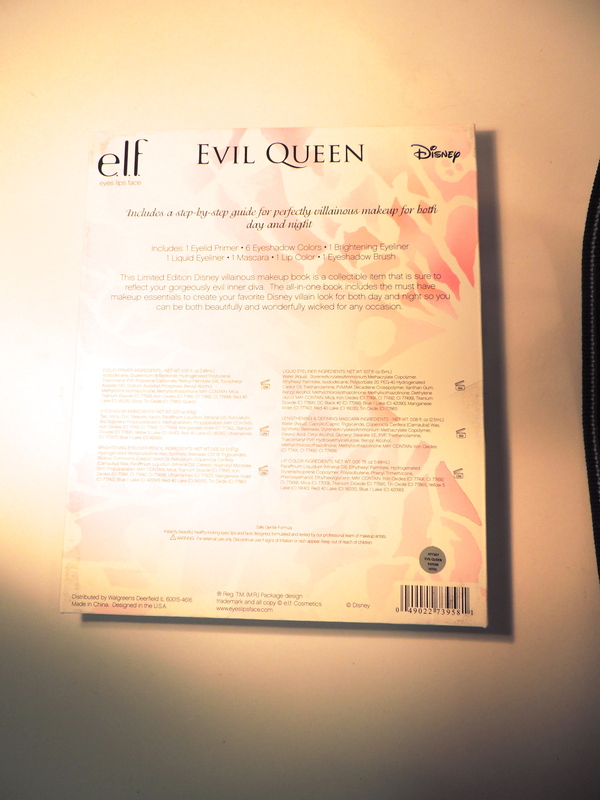 ELF Disney Villains look books: Maleficent and the Evil Queen - Give Me Gorgeous! 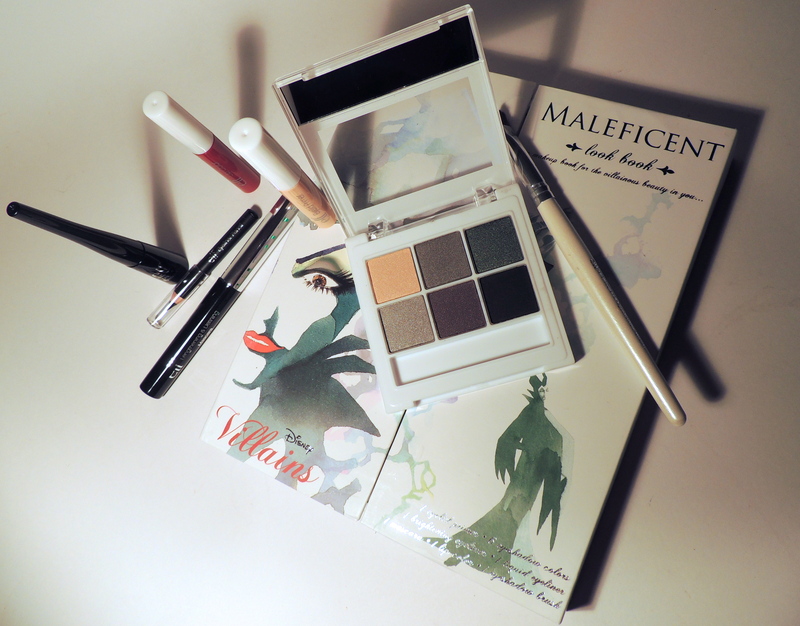 For October ELF (eyes lips face) is offering four different Disney Villains look books that each contain: 1 eyelid primer, 6 eyeshadow colors, 1 brightening eyeliner, 1 liquid eyeliner, 1 mascara, 1 lip color and 1 eyeshadow brush. These great little sets are being sold exclusively at Walgreens (since October 1st) for just under $10.00. 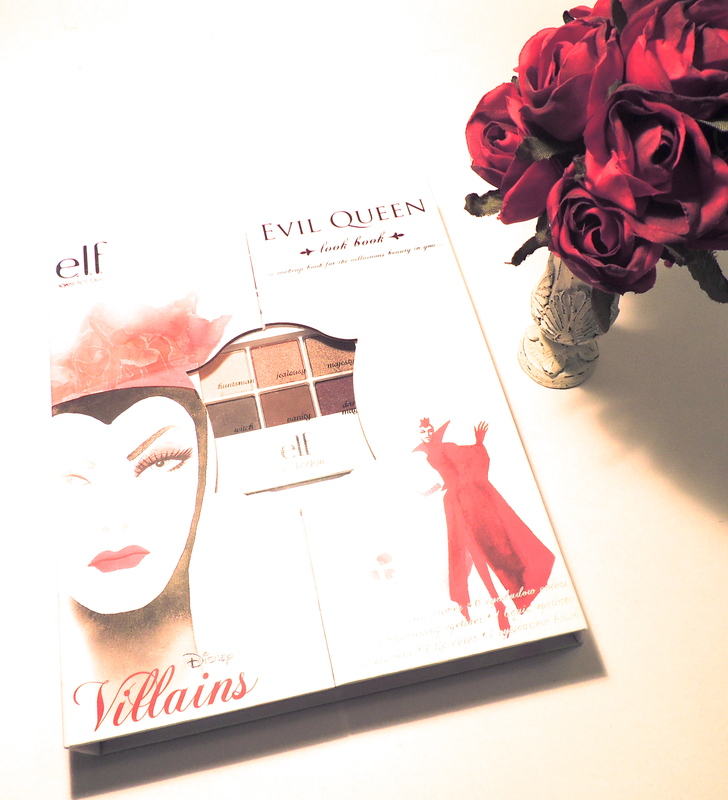 Female villains to choose from are Cruella de Vil, Ursula, Maleficent and the Evil Queen. I couldn’t resist picking up two! The eyeshadow collections are well thought-out sets, each palette has at least one matte color with the rest in degrees of frost. 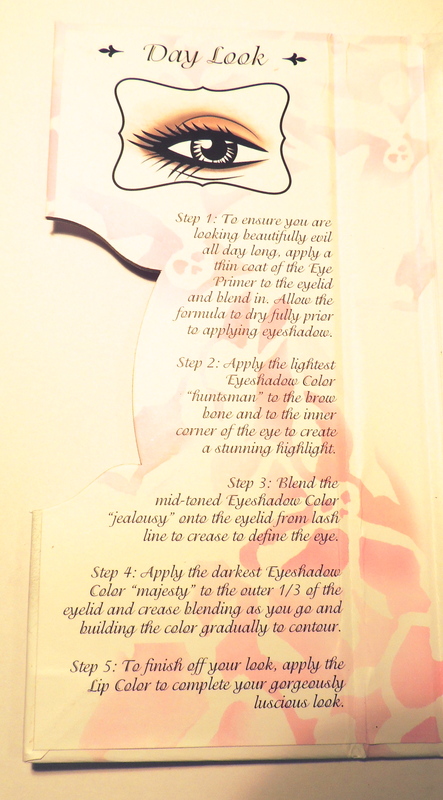 Each of the four sets is supposed to offer colors that will take your look from day to night, and the eyeshadows do offer a good value range to do just that. I couldn’t resist getting two of these. Evil Queen‘s colors are: huntsman (warm cream), jealousy (frosty copper), majesty (cool medium brown), witch (matte grey-ish brown), vanity (medium matte chocolate brown) and dark magic (sparkling wine). 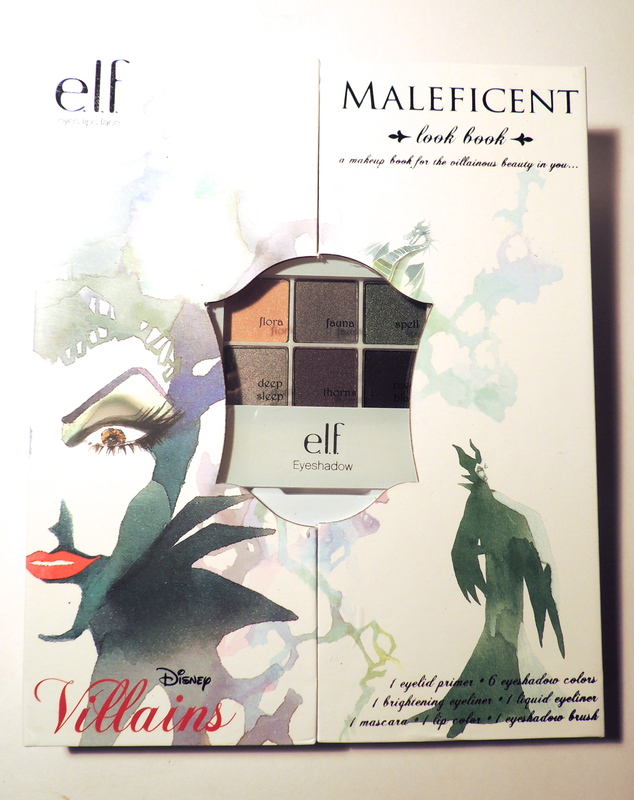 Maleficent‘s hues are: flora (soft peach), fauna (medium fawn), spell (glittery cool teal), deep sleep (silver grey), thorns (very cool medium brown) and raven black (matte noir). 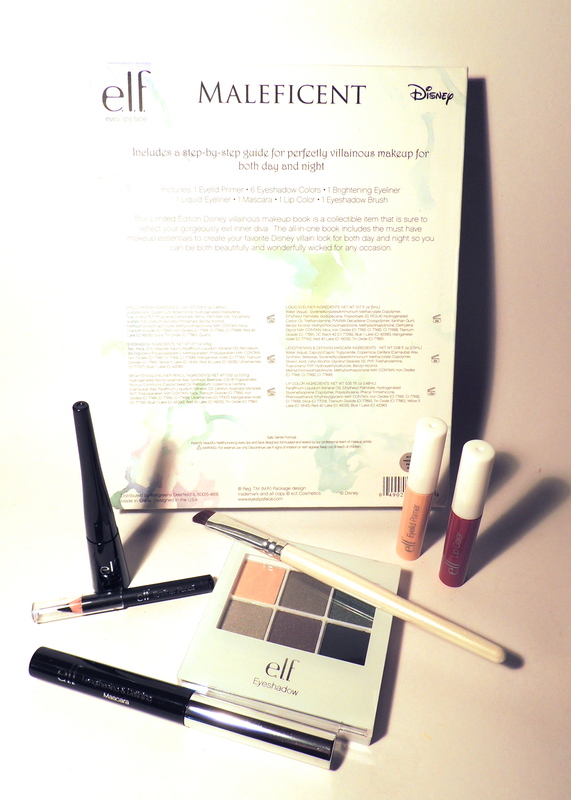 Each of these also comes with, eyelid primer, a black pencil liner and a black liquid liner – which are all useful basics. The mascara works fine but seems to be a little difficult to remove. Not that impressed with the lip colors/glosses, although they will do in a pinch. 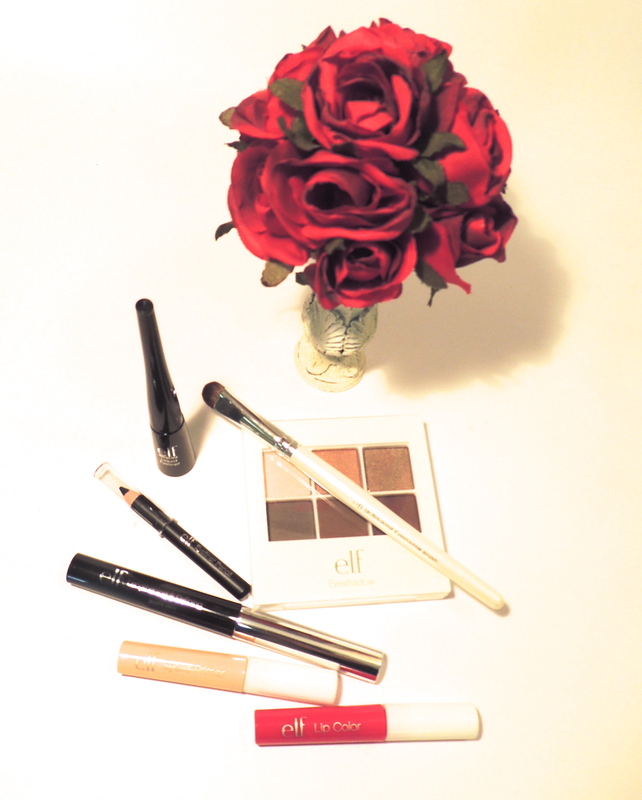 The eyeshadow brush has bristles that are not too long, very good for accurate eyeshadow application. 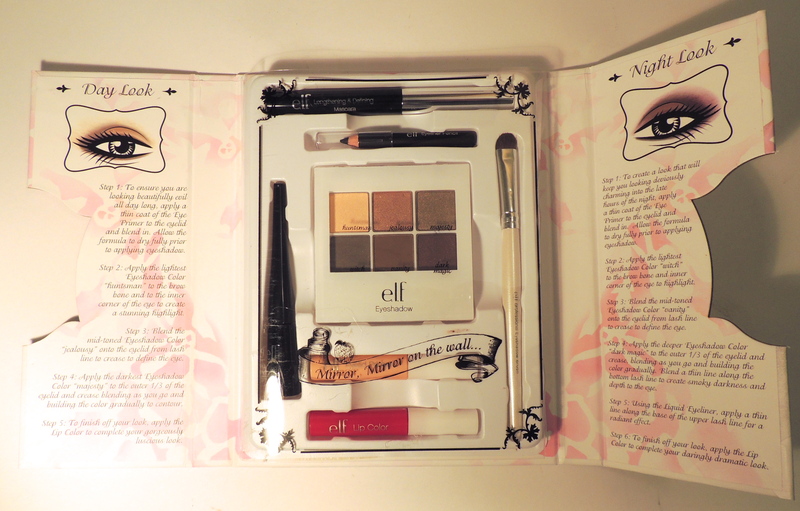 Overall, for the price, these are nice sets that cover the basics and contain very nice eyeshadow colors. The Villains collection has teamed with other cosmetics lines to also offer nail polish sets, hair accessories, eyelash sets (Ardell Lashes), nail art sets (Kiss Pro Nail Art) and beauty bags (Soho). Love these fun seasonal sets. I’ve been trying to find these everywhere! 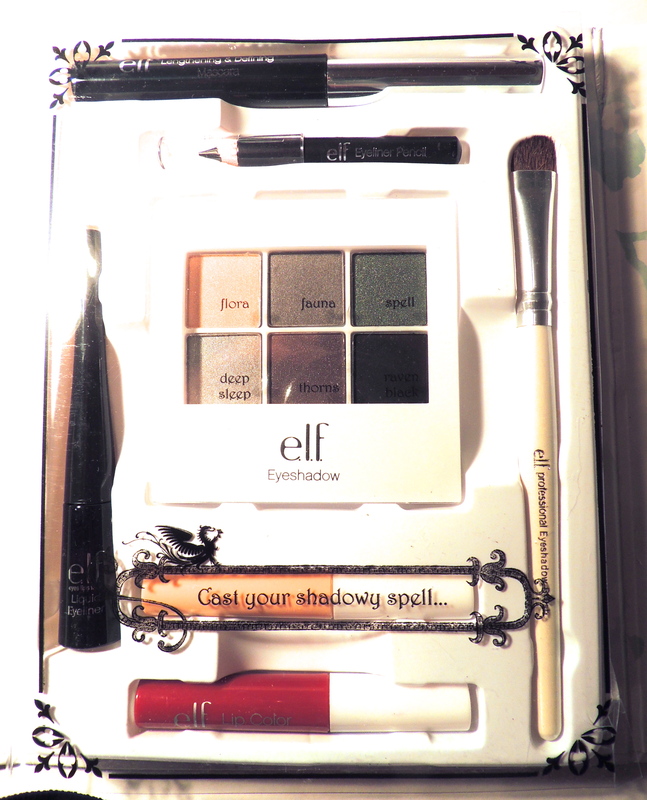 Do the shadows have that funky smell that elf products sometimes have? Like a strong chemical smell?